Beautify your home and office with new window coverings from Bay Screens and Blinds in San Francisco, California. We offer a wide variety of custom and standard window screens, rollaway screens, screen doors (swinging & sliding) shades, and blinds to meet your needs. Contact us today to receive a free estimate over the phone or schedule a free in home estimate. Let in the cool, outdoor air without letting in the bugs by calling Bay Screens and Blinds. We come to your house to measure your windows, traditional doors, and sliding glass doors, then provide you with the right sized screens. 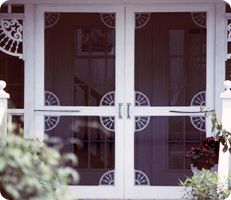 Plus, we'll custom fit hard to screen windows and doors of all shapes and sizes. Our estimator/installer has more than 20 years of experience. Recreate any room with new shades and blinds from Bay Screens and Blinds. 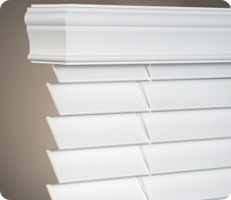 We offer blinds(aluminum, wood and faux wood), shutters, roman shades, woven woods, roller shades, vertical blinds, cellular shades in a variety of colors and styles, as well as custom sizes for your convenience. The window-covering specialists at Bay Screens and Blinds have been in the business since 2004 to provide you with all kinds of quality window treatments that you want at prices you can afford. We are knowledgeable about all of our products and we will be happy to answer all of your questions and inquiries. Call us at (866) 729-2991 for a free estimate on window screens, shades, and blinds.